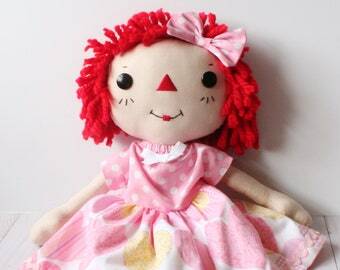 Announcement Welcome to StepStitches, the home of Cinnamon Annie Raggedy Ann style dolls. 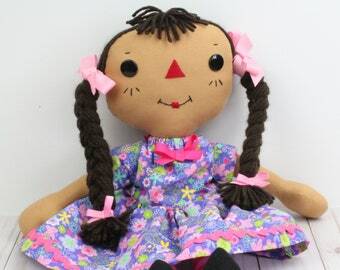 Each doll is handmade with love and exquisite care. 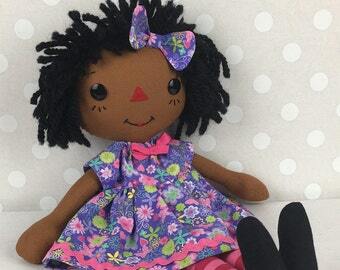 If you see a dress you like, but want a doll with a different skin tone than pictured, just click the Request A Custom Order button and let me know what you want. Please don't hesitate to send me a message through the Contact the Seller box or email me at svdean45 [at] gmail.com if you have questions. 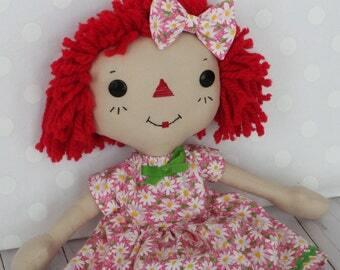 Welcome to StepStitches, the home of Cinnamon Annie Raggedy Ann style dolls. Great experience. 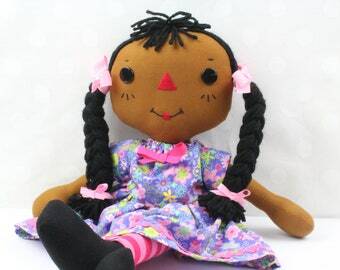 The doll is beautiful. I would recommend using smaller font for the personalized name. I will shop from this vendor in the future. 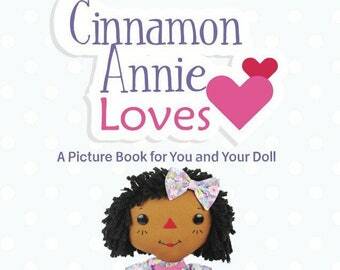 Nice little book to accompany our Cinnamon Annie! 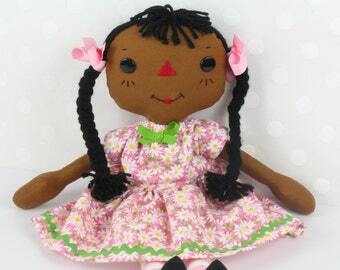 Beautiful doll! Excellent craftsmanship, fast production and shipping, friendly seller! 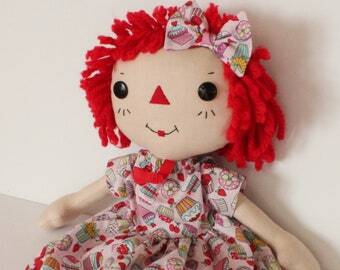 This Cinnamon Annie Handmade Raggedy Ann Doll is the cutest! 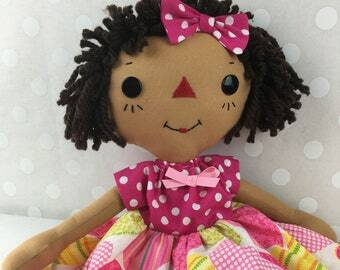 My granddaughter will absolutely love this doll for many years to come. 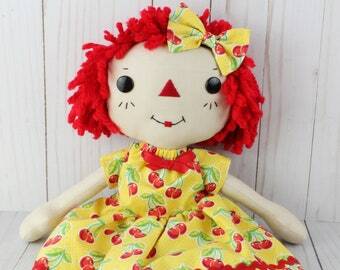 The workmanship exceeded my expectations and every single detail on this doll was crafted with perfection. 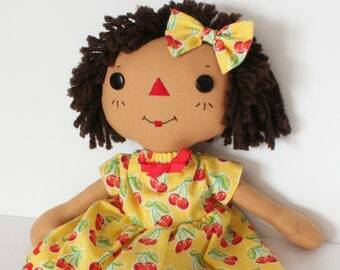 This was my first experience with ordering a handmade doll and I am so happy that I did. 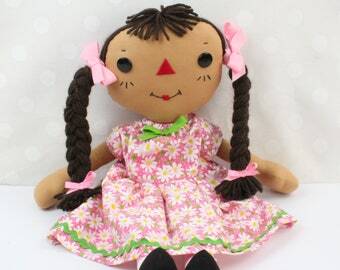 Cinnamon Annie is pretty in pink! 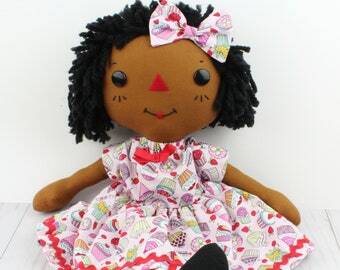 Sweet cupcake dress Cinnamon Annie Doll. 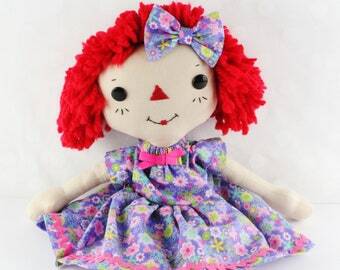 My BFF! 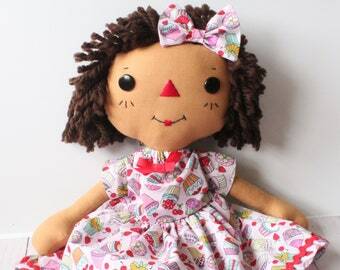 I ❤️ my Janome HD 3000 sewing machine! My beautiful daughter, now 19 years old, is my inspiration. Off to their new homes! 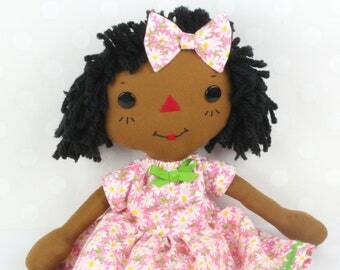 Handmade Love from Decatur, GA! 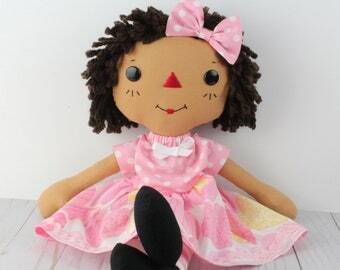 My mission to offer unique handmade products that make the recipient happy and feel good about themselves. 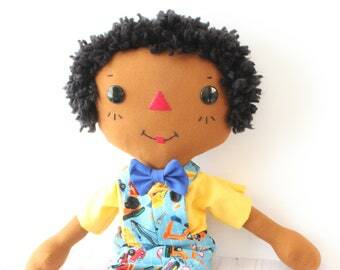 As a former elementary schoolteacher and a licensed social worker, I understand the power of a positive self image, especially for our children. 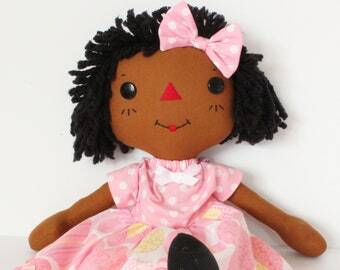 Dolls can provide a loving reflection of themselves to the young and old. 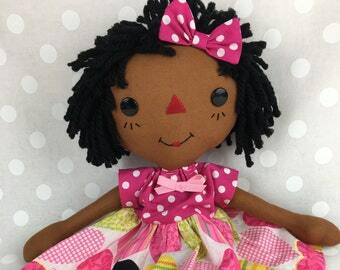 I love each doll I make. Their smiling faces give me such joy. I hope they bring the same enjoyment and love to you. 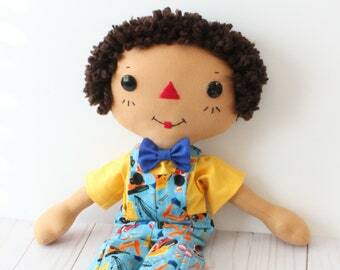 Each item is handmade by me in my home sewing studio.